One of two remaining areas in Mindoro Occidental where the endangered tamaraw (Bubalus mindorensis) can be found, Mt. Calavite Wildlife Sanctuary is also safe haven for the likewise vulnerable Mangyan indigenous population. FPE supported the research effort to provide baseline data on the site's resource and socio-economic profile. Conservation for this site was urgently driven by the occurrence of endemic wildlife categorized as threatened by the International Union for the Conservation of Nature (IUCN). Found here during the 1960s expedition were the Critically Endangered Mindoro Bleeding-heart (Gallicolumbaplatenae), Vulnerable Spotted Imperial Pigeon (Duculacarola), Endangered Mindoro Tarictic Hornbill (Penelopidesmindorensis), and Vulnerable Scarlet-collared Flowerpecker (Dicaeumretrocinctum). Presently, it has two Critically Endangered, three Endangered, three Vulnerable, and 24 restricted-ranged species. As early as 1920, Mt. Calavite was declared a game refuge and bird sanctuary through Executive Order No. 9. Then in April 2000, it was classified as a wildlife sanctuary through Presidential Proclamation 292, increasing its area of coverage. 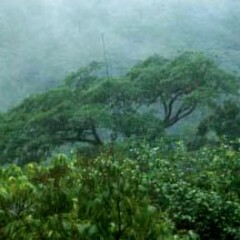 However, the MCWS’s forests continue to be threatened by agricultural activities. What remains of the once lush forests today are mere patches found in gullies and steep slopes, as well as vast grassland areas. Regular burning of the grasslands also persists due to the residents’ desire to boost growth of young shoots for pasture, making grassfire a constant concern. In addition to these, limited information about the site is hampering effective protection and management of the MCWS. As a response, FPE engaged the Mindoro Biodiversity Conservation Foundation, Inc. (MBCFI) in October 2012 to conduct a resource and socio-economic site assessment in the area. The research aims to draw baseline information on the status of its biodiversity, as well as the territory’s physical and geo-political profile. The study intends to facilitate the development of possible conservation initiatives that can enhance and strengthen management efforts designed for the MCWS.